The multi gas detector is a single gas detection alarm with multiple configurations. 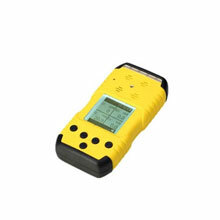 It has a very clear and large LCD screen, audible and visual alarm, and in-built pump so that it can detect dangerous gases even under poor working environments, and remind personnel of taking precautions. The service life of the four-in-one detector's components and compensation components lasts for around three to five years. 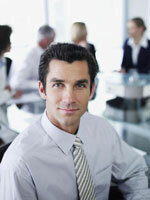 Under normal conditions and proper maintenance, its service life can be extended. As to the alarm with the experiment button, the experiment button should be pressed on once every week to detect whether the alarm system is normal. Every two months, the zero point and the range of the alarm should be checked once. Meanwhile, whether the detector has water inflow should be checked frequently. When the detector breathable cover is detected by the instrument, it should be taken down for cleaning to prevent blocking. The detector is a flame-proof, anti-explosion device, which should not be used beyond the upper limit. The detector should not be used under the occasions containing sulfur. The detector should be used under the condition that the concentration of the combustible gas is lower than the lower explosive limit. Otherwise, relevant components might be burned. The hot-line semiconductor should not be used under the oxygen-deficit condition. Meanwhile, do not adopt too much combustible gas to directly flush the probe. When the gas concentration is too low or too hot, it will not cause any danger. Only when it is mixed with the air or, to be exact, when it is mixed with the oxygen to form certain proportion of mixed gas will explosion or combustion happen. The combustion is an intense oxidizing reaction which will give out light and heat.